It’s not a secret that I love cookie dough. 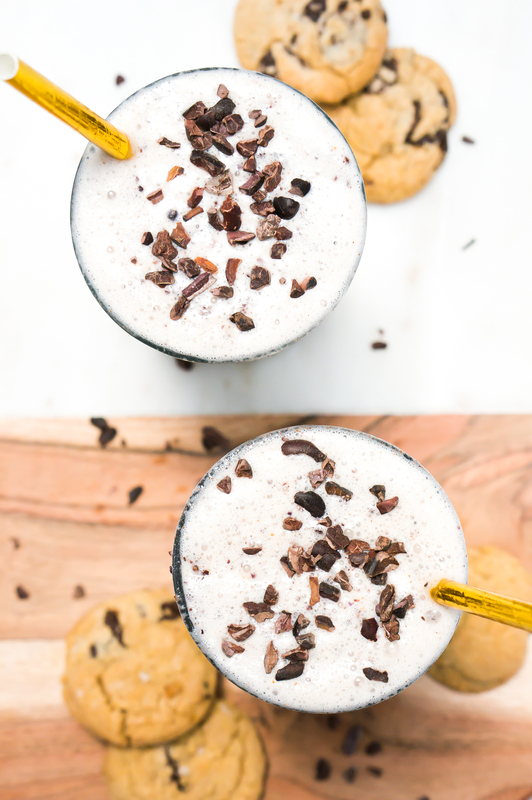 I make cookie dough milkshakes. I make cookie dough pancakes. I make cookie dough you can eat with a spoon. 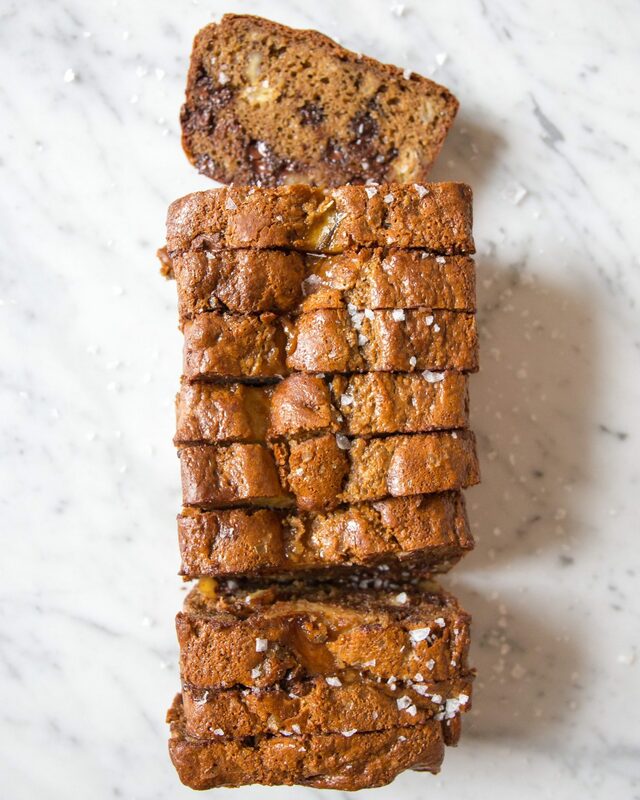 But never before have I made a Cookie Dough Healthy Banana Bread—a Salted Cookie Dough Healthy Banana Bread, at that—and the time had long come to remedy that situation. This is a surprisingly simple recipe that gets its cookie dough-like flavor from two key ingredients: cashew butter and vanilla extract. 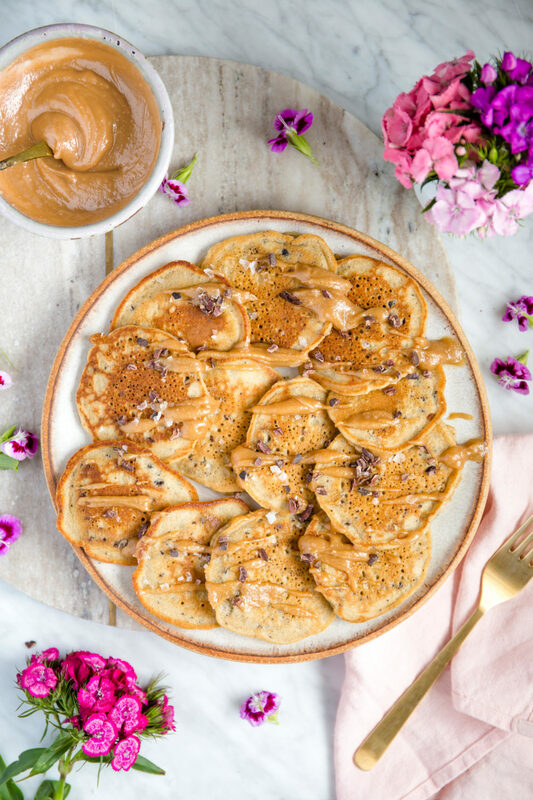 The cashew butter is key; in addition to being a fully grain free base, it provides a creamy, butter sweetness that’s reminiscent of your favorite childhood Tollhouse logs (man, I loved those logs). Mixed with the eggs, the protein in the cashew butter stiffens up, forming a crispy outer shell and soft, moist center for this bread. Vanilla extract is another one of my favorites—if you use too much of it, where the flavor is slightly more front and center (but not overpowering), it turns whatever you’re cooking into something that tastes like dough. I’m not sure why, and I’m not sure how, but I like it. This banana bread has a ton of protein from the aforementioned eggs and cashew butter. 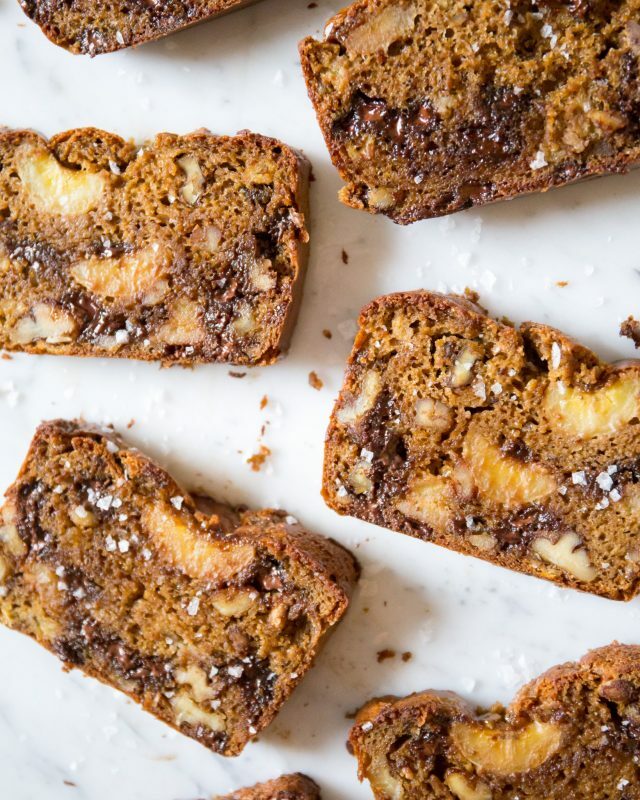 It’s definitely satiating and blood sugar-friendly enough to eat for breakfast, or a snack, or dessert—really, this is an anytime-of-day banana bread. If you don’t have flaky sea salt, you can make this without, although I highly recommend you get your hands on some, as it does wonders to elevate pretty much any dish. Preheat oven to 325 degrees Fahrenheit. Mash the riper of the two bananas in a large bowl, leaving a few chunks. Set the other banana aside. 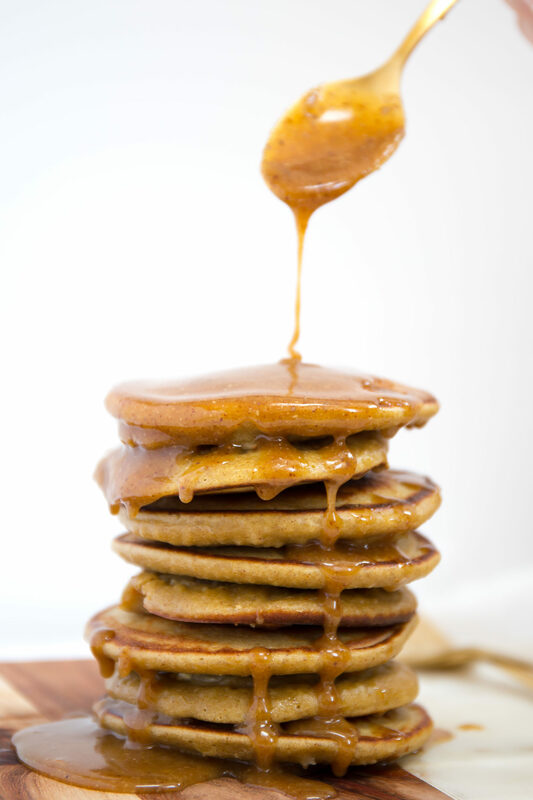 Beat the cashew butter and eggs into the banana mixture. Add the coconut sugar, vanilla, baking soda, baking powder, and fine grain sea salt, and stir until well-combined. Stir in chocolate chips and walnuts. Line a 9″ x 5″ loaf pan with parchment paper, leaving some to overhang the sides. Pour in the batter. 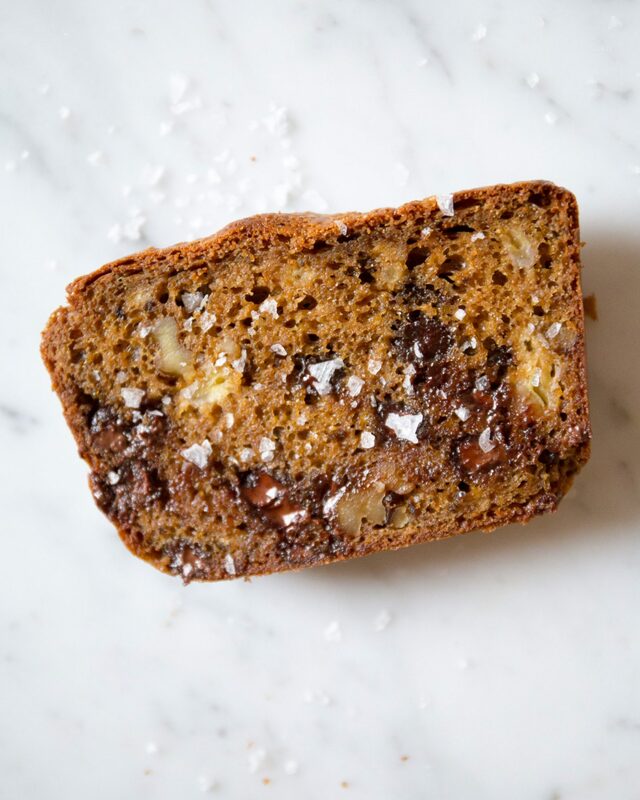 Slice the reserved banana in half lengthwise and place gently on top of banana bread, cut side up. Sprinkle the top with the flaky sea salt. Bake for one hour, or until a toothpick in the center comes out completely clean. Allow to cool for at least 20 minutes in the pan before removing. Store for up to 4 days in the fridge. Yay!! So happy to hear you liked it. Could not agree more! It’s become a household staple for us now.